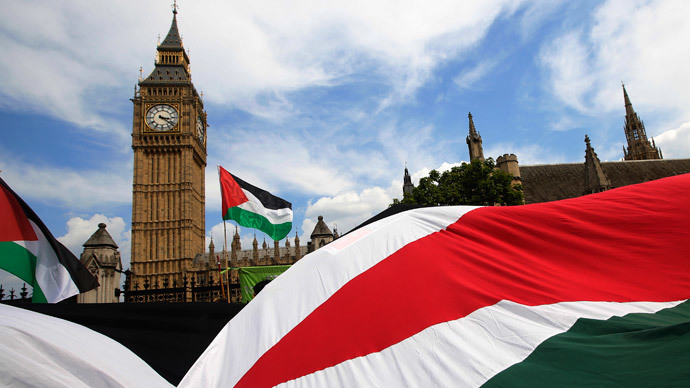 Jewish students at the School of Oriental and African Studies (SOAS) in London have complained of intimidation after the university students’ union voted in favor of a full academic boycott of Israel. One student was allegedly told to “f*** off to Israel,” while another student said they are too afraid to go to lectures or student common rooms for fear of being verbally abused. Some Jewish students claim the atmosphere on campus has become increasingly difficult since the boycott, divestment and sanctions (BDS) campaign began in January. After meeting with students on Wednesday, the Director of SOAS said evidence would need to be provided before the university can take action. Jewish Society members, who campaigned against the non-binding vote, say they have been harassed by pro-boycott activists. Speaking to the Jewish Chronicle, Moselle Paz Solis described how pro-boycott protestors disrupted an event organized to promote the anti-boycott argument. Demonstrators heckled during the speeches and posted papers saying ‘vote BDS’ on the windows, she said. According to Avrahum Sanger, also a Jewish Society member, protestors waiting outside the debate tried to provoke them. The students’ union allegedly ordered an Israeli television channel, which filmed the event, to hand over its footage on the grounds permission was not sought beforehand. Sanger and Paz Soliz assert the atmosphere on campus is still intimidating since students and staff voted in favor of the boycott last week. Paz Solis said: “I don't even dare to go in the junior common room because it's full of their propaganda. “You don't know who you are going to encounter or if they are going to start having a go at you. They are very confrontational and in your face. You just don't feel comfortable,” she added. The students’ union BDS vote passed with a margin of around 75 percent, with 425 voting against the motion. One key issue the BDS movement claims helped drive the campaign is the relationship between SOAS and Israel's Hebrew University. After a meeting with Jewish students on Wednesday, SOAS head Paul Webley said they would need to make a formal complaint. “I am not saying that these things haven't happened but we need evidence, then we can deal with it,” he said.